As children, you probably shrugged off your parents’ warnings about wearing a helmet while you rode off on your bicycle. However, your parents’ argument had good merit. It’s always a good idea to protect your noggin. If you’ve graduated to something a bit more thrilling, like mountain biking, it’s absolutely imperative. Mountain trails are filled with a slew of obstacles trying to cause you some pain. The right helmet will ensure that those falls and bumps don’t have any lasting implications. When it comes to mountain biking, your entire body is susceptible to damage. While you can do your best to avoid hurdles as you race down the mountain, accidents can happen. Scrapes and bruises are to be expected, but your head is something you should never put at risk. Failing to protect your head could lead to severe brain injuries that follow you throughout your life. Luckily, great helmets are available that are specifically designed with mountain trails in mind. They provide your head with the protection it needs along with a number of other great benefits. 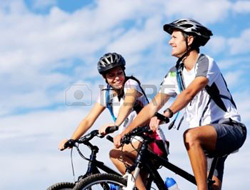 Mountain bike helmets are made to be safe and comfortable, allowing you to focus on the trail in front of you. Here are some of the best mountain bike helmets available today. 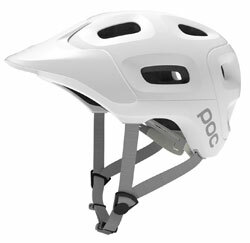 The POC Trabec helmet is a great option for mountain bikers due to its aerodynamic design and protection. The outer shell is made from durable polycarbonate. Inside, the helmet has EPS foam for maximum comfort and aramid filaments for added durability. The helmet has an adjustment system that uses buttons to tighten the straps. There’s significantly more coverage around the temples and back of the head, where you are more susceptible to head trauma. There’s also an extended visor to shield your eyes from the sun, ultimately improving your vision to keep you safe. 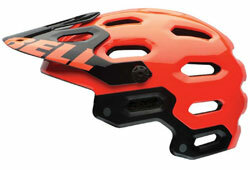 The Super 2 helmet from Bell is incredibly durable and versatile. It provides maximum protection around the head, with special attention being taken to ensure that the back of the dome is protected. The shell is made from in-mold polycarbonate. It’s very light in weight to ensure that the helmet doesn’t become cumbersome, but also provides all the protection you need. 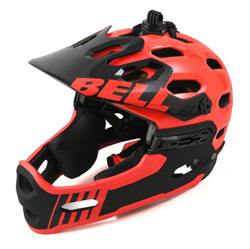 If you are looking for even more protection, the Bell Super 2R is available, which is essentially the same as the Super 2, but includes a chin piece to protect your face. Inside the helmet is removable padding to make your ride comfortable. Weighing in at only 310 grams, the Notch helmet from Movic is a lightweight option for mountain bikers. It is made from polystyrene for durability and protection. Comfort wise, this option is great. The light weight coupled with an effective retention system will make bikers forget that they’re wearing it. There are also 18 ventilation slots throughout the helmet to maximize air circulation. It also has an extended visor to protect your vision. 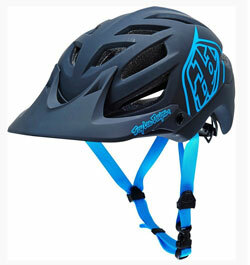 It comes in a variety of colors and sizes, allowing mountain bikers to get the perfect helmet for their style and needs. This mountain bike helmet may be on the higher end of the price spectrum, but it offers a number of great features. The polycarbonate shell is great for shielding your head in a fall. It has more coverage behind the head and along the temples. Inside, the impact foam is made from comfortable EPS. In terms of fit, the helmet is incredibly comfortable and versatile. 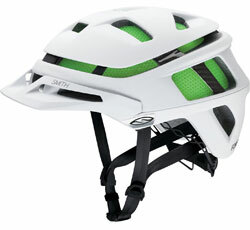 It has a snug strap and a cam-lock stabilizer to ensure that the helmet stays put. There are also 16 air vents for comfort. If style is a concern, it comes in a slew of bright colors and cool designs. Smith Optics is a leading manufacturer of protective eyewear. They’ve recently begun delving into the world of helmets, with their first offering being the Forefront helmet. It uses a unique material called Koroyd, which makes the helmet very durable, light in weight, and comfortable. The material absorbs more impact than standard EPS foam, but also helps with air circulation. It’s one of the lightest options available, weighing in at only 285 grams. Other great features include an AirEvac system that keeps goggles fog-free and a brass insert that can be used to mount action cameras or lights. 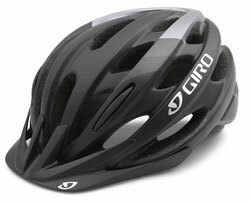 From Giro is the light and durable Phase helmet. Made with a polycarbonate shell and in-mold EPS lining, the helmet is tough enough to take a beating. It has a low profile design, making it comfortable and unobtrusive. 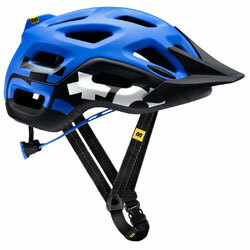 Light in weight, the helmet is great for prolonged use throughout the mountain trails. To ensure a snug fit, the helmet has a unique fit and Roc Loc 5 system. It makes the helmet fully adjustable and easy to get a tight fit. There are also 27 air vents for as much ventilation as possible. The included visor snaps into place for easy sun protection. 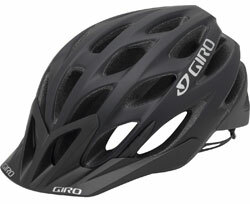 Another affordable option from Giro is the Revel helmet. Like the Phase helmet, it features a snap-fit visor that is reinforced for durability. The in-mold polycarbonate shell is bonded to the EPS lining, making it very light in weight and durable. The lining absorbs the impact of a fall while keeping the head comfortable. There are 22 air vents to keep your head cool. For adjustability, the helmet features a simple dial that can be turned with a single hand. Turning the dial will tighten or loosen the straps for a secure fit. For added safety, the back of the helmet has a reflective material so that you can be seen. When on the lookout for the perfect helmet, there are a number of things to consider. Protection and durability are key, but other features can make owning and wearing the helmet much easier. Certain build and design elements can directly affect the price of the helmet. Taking certain aspects into consideration will make finding the perfect helmet in your price point a breeze. 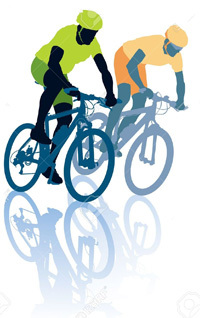 Cycling helmets come in a variety of different styles. Helmets are designed with its purpose in mind. If you are looking for a helmet, it’s important to choose one that is designed for mountain biking. These helmets are generally designed with extra protection, as mountain biking has more hazards than street biking. Typically, helmets made for hitting the mountain trails have extra protection in key vulnerable spots. These include the dome, back of the head, and temples. The lining or shell may be thicker at these points. 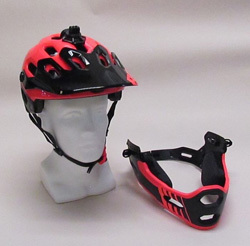 Mountain bike helmets tend to also have visors. Visors can either be removable or included in the overall shape of the helmet to protect from the sun, mud, and debris. Mountain bike helmets are made in a couple of different types of shapes. These shapes provide different levels of protection and comfort. You should choose a shape based on how and where you will be biking. Half-shell mountain bike helmets are the most common. They look like the traditional helmet you’d expect to see. They tend to be more versatile than other options due to removable visors and fit. Half-shell helmets also work well in other biking situations, such as biking on the road. These helmets sit on top of the head but provide more coverage than standard helmets. Full-face mountain bike helmets have the most coverage. Not only do they protect the head, but also the entire face. They have a chin guard that protects your mouth, making them a great option for biking on mountain trails with a lot of rocks and debris. Full-face helmets are typically worn with goggles to provide as much protection as possible. While they are heavier and more cumbersome, they are ideal if you want maximum protection. Materials can greatly affect how protective a helmet is. While most manufacturers stick to similar materials, others have developed their own material to reduce weight or add more ventilation. When looking for a helmet, it’s a good idea to consider the thickness and durability of the materials. 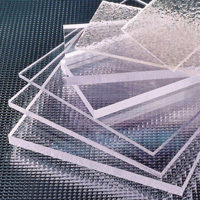 Polycarbonate is the most common material for the outer shell. Thicknesses may vary from brand to brand. However, the polycarbonate works in tandem with the underlying foam padding. It spreads out the impact of a fall, allowing the interior foam to absorb it sufficiently. 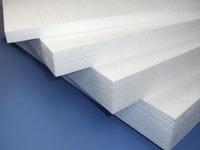 Expanded polystyrene foam is a common material for the lining. It absorbs the shock and acts as a cushion. The thickness of the foam should be considered. While more foam equals more protection, it may lead to discomfort. Other features, such as the ability to remove and clean the lining, should be considered as well. It should be noted that the materials are designed to take the damage of the impact. This usually means that they are partially damaged or broken. After a major fall, it is important to replace the helmet to ensure that its damaged structural integrity doesn’t lead to harm. Comfort can play a big role in how you perform on your bike. In fact, discomfort is a common deterrent to wearing helmets. However, many manufacturers have effective features to maximize the comfort of a helmet. The ability to adjust the helmet can make it more comfortable to wear. It’s important to have a helmet that can be tightened for a snug fit. The snug fit will make it more comfortable while increasing protection. Dials, multiple straps, and webbing all contribute to the helmet’s fit. Air ventilation is another thing to consider. With all that foam lining, helmets can feel like a sauna, causing you to sweat profusely. Air vents will increase air circulation to keep you cool. However, it is important to find a helmet with vents that don’t affect the helmet’s overall protective capabilities.